If you know anything about the summers in Thailand, then you know it is one of the hottest times of the year. Your shirts may be soaking from sweat but there is something magical about being in the Kingdom during this time. What you may not have known however is that up north in Chiang Mai, summer time is also a perfect time to be visiting. The old capital has a glowing reputation for some of the most fun activities compared to anywhere in Thailand by maintaining a small town feel amidst a big city vibe. Some may even claim that Chiang Mai is the ONLY place to be during this time of the year – and this year more than ever, fans of electronic music should rejoice, as those claims may be warranted with the appearance of North Fest, the North’s first and biggest Electronic Dance Music Festival, presented by none other than Dome Pakorn Lam and his Iconic/TED team together with Chang Music Connection. 1) It’s a full 2-day festival! Yes, you saw that right. North Fest is a TWO-day festival. It may among one of the longest EDM festivals in Thailand running from May 6 – 7, 2016. And if you are wondering if there will be a lot of people in Chiang Mai during that time, expect there to be a massive wave of people looking for a good time because Chiang Mai is always happening. 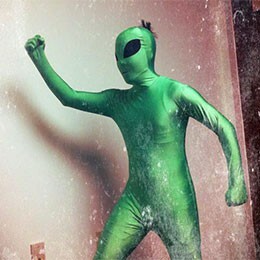 Therefore, expect a crazy weekend in high altitude! 2) The lineup is huge! With international acts popping up weekly in Bangkok, it is no longer surprising to believe that Bangkok is becoming a hotspot for big EDM names. It is also common to for international acts to make appearances in other smaller venues around Thailand from time to time as well, but for 4 internationally acclaimed DJs to be playing up in Chiang Mai for one festival, that remains unheard of until North Fest! 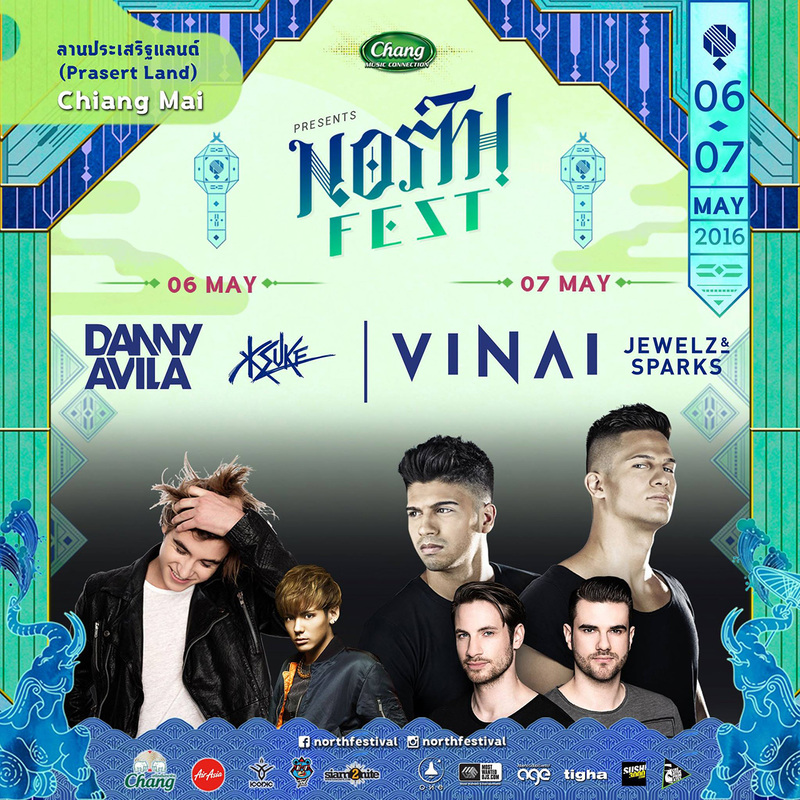 Expect the hard hitting beats of the duo VINAI, Dany Avila, Jewelz & Sparks, and Ksuke all to be ringing loud and clear together with multiple other top Thai DJs at this year’s first edition of North Fest. 3) The tickets are only THB 350! With ticket prices rising every year for most major festivals around the world, you expect to shell out at least a few thousand Baht for a 2-day festival. You could not be more wrong. 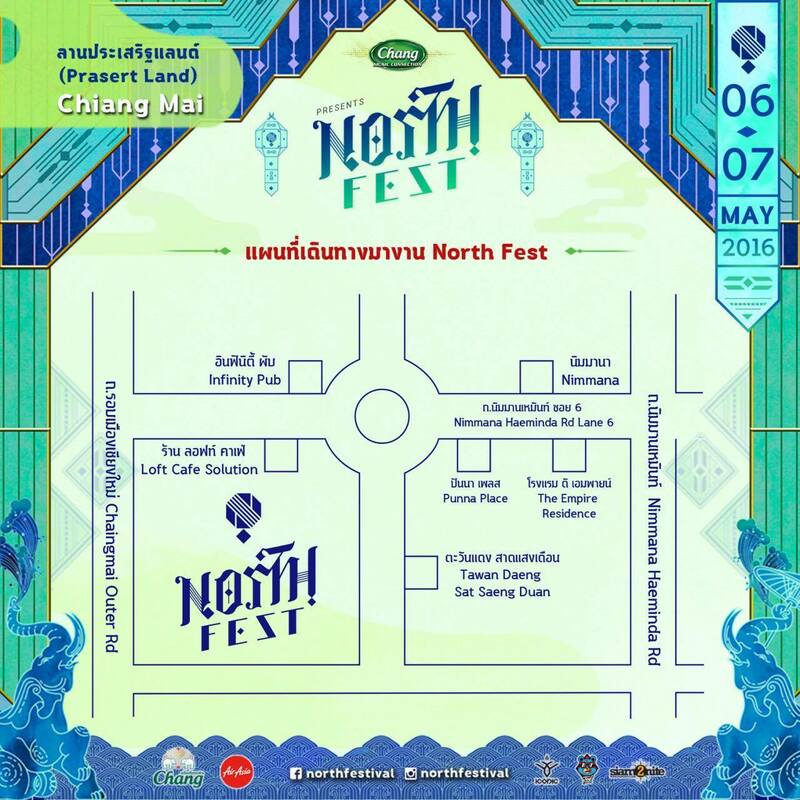 A 2-day entry ticket for North Fest is THB 350! Yes, only THREE HUNDRED FIFTY BAHT for all 2-days. That translates literally to THB 175 per day, the cost of a drink at some festivals. Granted if you cannot make all 2 days, you also have the option of buying the day-pass for THB 199 per day as well. We do not think there is any other festival in the world that would be this easy on your wallet. 4) Be a part of history! The idea of getting to go to the first edition of any festival is always a beautiful story. Imagine if you were at the first Tomorrowland or the first ever EDC – but rather than just imagining it, you can actually be at the first ever North Fest so what are you waiting for! You will not only be part of a wonderful beginning, but we are sure the amazingly kind nature of the Northern crowd will leave a long lasting impact that will surely make you lusting for more! 5) The location is beautiful! Chiang Mai has a lot of beautiful scenery. It would have been hard to pick and choose from all the available options for the perfect festival location. However, Dome Pakorn Lam and his Iconic Clubbing Studio team have done just that with the selection of Prasert Land as the host venue for North Fest. Located along Nimman Road, the festival will be located amidst one of the hippest roads in Chiang Mai. You will surely get to enjoy dancing and partying amidst all the beautiful people in Chiang Mai, an experience definitely worthy of the trip. North Fest as presented by Chang Music Connection is aiming to make its mark. With the goal to become another landmark of Chiang Mai you know they are not playing. Expect a host of Northern restaurants to make an appearance alongside the great lighting and stage designs that will be created from the ground up. This will be a new experience unlike any other you have been to before. For more information, please call 02-044-8283 or follow them on their Facebook page.